Most of the accidental deaths happening in our country are due to the carelessness of the riders. Our country is democratic and so there are a lot of opinions about everything that's happening around us. When some people say something is good for the public, there are always some other people to oppose it even if they make good sense. 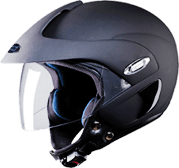 Safety is one of the main aspects that should be kept in mind while riding in two wheelers. As most of us have turned into making a busy living, everybody wants to reach their destination as fast they could. The main causes of road accidents are due to over speeding and carelessness. Even though there are many sign boards and warnings indicated on the roads, accidents happen in the same place. Some people believe that rules are defined only to break them. Of course, I agree that the rules can be broken. But that should do at the right time. Breaking the rules at all the time proves utter foolishness. When a rider is hit by another motor cycle or a car, the first thing that gets damaged is his/her legs. Intelligent engineers have built the bikes with prevention rods so that when the bike fell aside, the rods come in contact with the ground first. Suppose if the rider falls off towards the front, there are a lot of chances for the head to collide with the ground. A person can live without legs, but not without the brain. That's why helmets are very helpful and safer while riding in two wheelers. After all, our life is more important than reaching our destinations in time. It is also much safer for the pillion rider to wear a helmet. 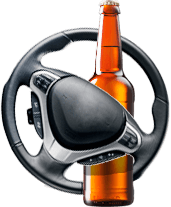 Any amount of alcohol in your bloodstream can impact your driving ability. The effects of alcohol abuse vary greatly, putting you at risk for causing an accident or highway injury. Safe driving requires the ability to concentrate, make good judgments and quickly react to situations. However, alcohol affects these skills, putting yourself and others in danger. When alcohol is in your system, it affects how quickly you’re able to respond to different situations. Drinking slows your response time, which can increase the likelihood of an accident. Therefore, if the car in front of you brakes suddenly or a pedestrian crosses the street, it will take longer for your brain to process the situation and prevent an accident. Heavy drinking affects your motor skills such as eye, hand and foot coordination. Without crucial coordination skills, you may be unable to avoid an impending harmful situation. Some telltale signs of reduced coordination include trouble walking, swaying and inability to stand straight. Too much alcohol can even make it difficult to get in your car and find its ignition. Alcohol, no matter how much or how little, can influence your concentration. With driving, there are many things that require your undivided concentration such as staying in your lane, your speed, other cars on the road and traffic signals. Your attention span is dramatically reduced with drinking, which significantly increases the chance of an accident. Excessive alcohol consumption can negatively impact your vision. After drinking, you may notice that your vision is blurred or that you’re unable to control your eye movement. Impaired vision can affect how you judge the distance between your car and other vehicles on the road. Additionally, fewer objects may be visible within your peripheral vision, or what you can see to either side of you when looking straight ahead. Your brain controls how you judge certain circumstances. When operating a motorized vehicle, your judgments skills play an important role in how you make decisions. For instance, you need to be able to foresee potential problems and make clear decisions if another vehicle cuts you off. Your judgment helps you stay alert and aware of surrounding conditions while driving. Emerging as one of the top causes of death among the most productive age groups, road crashes have developed into a major public health crisis across the world. According to the World Health Organization (WHO), road crashes kill 1.4 million people and permanently disable another 50 million every year. Over the last decade, road crash has become the tenth leading cause of death in the world, and is predicted to rise to the fifth position by 2030. India is the number one contributor to global road crash mortality and morbidity figures. Every hour, 16 lives are lost to road crashes in India. In the last decade alone, India lost 1.3 million people to road crashes and another 5.3 million were disabled for life. Every year nearly 1.4 million people have been killed because of they are wireless customers and their over-bearing cell phones. While in India, an estimated 1.35 lakhs person died due to road accident in 2010, which is approximately 10% of road accident fatalities worldwide and these figures are the highest in the world. But still no research have been carried out to find the number of drivers using cell phone involved in road accident and very limited efforts has been carried out to prevent accident due to cell phone usage. 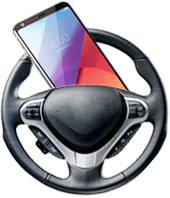 To our knowledge this is the first survey carried out in India to determine the number of drivers involved in an accident due to mobile phone use. With the increasing traffic on the roads, ambulances have a tough task in taking the patients to hospitals on time. The motorists must move left making way for the ambulance on hearing the siren. A recent survey conducted revealed that nearly 18,000 patients who are transported in ambulances every year could be saved from medical complications if the vehicles could reach hospitals faster. More and more motorists in the busy streets of Delhi and other major cities of India are refusing to yield to emergency vehicles like ambulances and fire trucks. This assessment is based on firsthand experience of our volunteers along with a sharp rise in complaints from paramedics and firefighters. Instead of clearing and pulling to the side of the road when an emergency vehicle approaches, many motorists are racing ahead of ambulances and fire trucks or following closely behind them to pass more quickly through traffic. Even worse, some motorists simply ignore the sirens altogether, or leave their cars parked on narrow streets, creating a tight squeeze for large fire trucks and ambulances. Nearly half of the emergency calls that hospitals receive each year are classified as high-priority calls in which a person is suffering from chest pains, breathing disorders, heart attacks, trauma or some other serious condition. However unyielding motorists delay their arrival by precious minutes that often mean the difference between life, death or severe brain damage. More than 3,000 people die in road crashes every day, over 1 million a year worldwide. Do you speed? 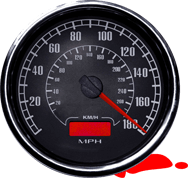 Speeding is not always the cause of a car crash, but even a small amount of excess speed at impact increases risk of death or serious injury exponentially. Driving too fast risks your life and spreads the risk to others you share the road with. The most dangerous time of your life is when you think you know what you're doing. How would you feel if another driver, passenger or pedestrian was killed, even partly because of the excess speed you brought to the impact? Watch this reconstruction of what happens when a pedestrian is struck at a slightly higher speed. People make mistakes, don't punish them with death. Without oxygen, we cannot live for a moment even. Without oxygen, the animal world will die away. Trees make the oxygen and spread it in the air. While inhaling air we take the oxygen with it into our bodies and live in life. 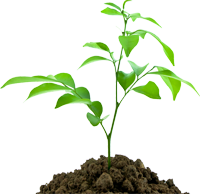 A tree consumes this carbon dioxide and thereby makes our environment safe for us. Trees also give us many other benefits. We get fruit and flowers from the trees. Trees provide us with fuel and timbers. In summer, they bear the scorching rays of the sun and give us a cool shade under them. Trees in our forests draw the rain from the clouds floating in the sky. Trees in our forests check the quick flow of rain-water and thereby check the occurrence of high flood in our rivers. On the other hand, this slow process of water-flow gives us good water all throughout the year through streams and streamlets with their sweet melodious music. Trees should be regularly planted to save the mankind and the animal world. Tree plantation and its after-care is a pleasing work too. We can get much pleasure in planting trees and in taking care of them. Students should plant trees in their school-compounds and in the front-yards, backyards and side-yards of their schools and near their own houses and in other places wherever possible. They should explain to their neighbours the goodness of tree-plantation and encourage them to plant and care new trees. Swachh Bharat Abhiyan is a nationwide cleanliness campaign run by the government of India and initiated by the Prime Minister, Narendra Modi on 2nd of October in 2014 on 145th birthday anniversary of the Mahatma Gandhi. This campaign has been launched to fulfill the aim of cleanliness all over India. The Prime Minister has requested the people of India to involve in the Swachh Bharat Mission and promote others to do the same for leading our country as a best and clean country of the world. This campaign was first initiated by the Narendra Modi himself by cleaning the road on the way going to launch the campaign. The campaign of Swachh Bharat is a biggest ever cleanliness drive of India during the launch of which around 3 million government employees and students from schools and colleges participated. On the day of launch, Prime Minister has nominated the names of nine personalities of India to initiate the campaign in their own areas and own decided dates as well as promote the campaign to the common public. He also had requested to all nine personalities to invite other nine people from their own end individually to participate in this event as well as continue this chain of inviting nine people until the message reach to each and every Indian people. He also requested that every Indian should take this campaign as a challenge and tries his/her best to make this campaign a successful campaign ever. The chain of nine people is like a branching of the tree. He requested common people to involve in this event and upload the video or images of cleanliness over the internet on the various social media websites like Facebook, Twitter, etc so that other people may get promoted and motivated to do the same in their own area. In this way, India can be a clean country. In the continuation of this mission, in March 2017, UP CM Yogi Adityanath has banned chewing paan; gutka and other tobacco products all over UP to ensure cleanliness in the government official buildings. SAVE POWER: SAVE THE ENVIRONMENT!! In this modern world, we all are enjoying the gift given to us by nature through a natural resource Water and that is electricity.So, we must use it wisely and efficiently. It is a boon to us in this fast moving lives of ours. We can not even imagine our life without power. Power is really the greatest power for us these days.Most of the household appliances, office machinery are running with the help of electricity.It not only helps us in saving our money by reducing electricity bills but also plays a major role in saving the environment.So, it's the time to do something for our environment by saving electricity.Let's start with our homes only. The most important tip is that you must switch off all fans and lights when going out. Use fluorescent bulbs and tubes. They use about a quarter of the electricity used by ordinary bulbs and them last longer. Cook several dishes at one time.If you are cooking small items use the frypan. Use utensils with flat bottoms and well fitting lids. Try solar water heaters, solar cookers, solar cells etc. Keep the geyser thermostat at the minimal heat. Use solar energy to dry your clothes. Unplug the power plug of your television set when not using it. Use cold water whenever hotly is not necessary. Try LED bulbs. They use less electricity than both CFL and incandescent bulbs. If you are having an air-conditioner fitted car, you must roll up the windows of your auto before switching on the air-conditioner. Many air-conditioning systems operate at 22 deg. Try to set the control for 24-25 deg in summer.It will greatly help in saving electricity. Most important: Spread the word, Make people aware of the future benefits of saving and helping to create a new healthy environment. Our small little steps can help in very big ways to create and save our environment.So, try to conserve power and a create a better future! !